Kingbird Software, LLC is a single-member Limited Liability Company (LLC) formed in November, 2007 by Ken Bunzel. The company is located in Moscow, Idaho, the home of the University of Idaho. Washington State University is located nearby in Pullman, Washington. The primary purpose of the company is to provide GIS software development services. Ken has a bachelor's degree in conservation biology with experience conducting wildlife and vegetation inventories in the field. He received a certificate in Ecological Horticulture from the University of California - Santa Cruz and is currently involved in small scale sustainable agriculture projects. He also received a Certificate in Microcomputer Systems Specialist from Santa Rosa Junior College, California. Ken lives in Moscow, Idaho with his wife Betta, and their children, Owen, and Anna. 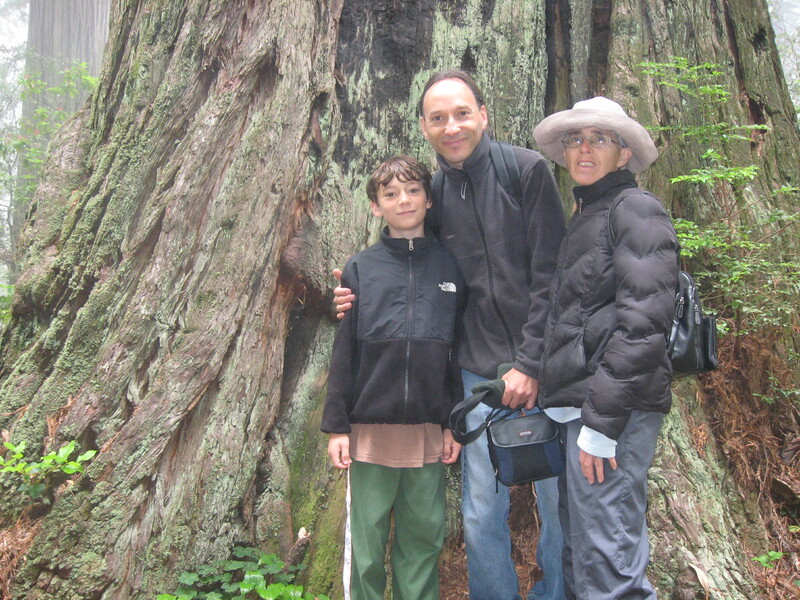 Owen, Ken, and Betta Bunzel in Redwood National Park, California. Picture taken in July, 2009 by Anna Bunzel. 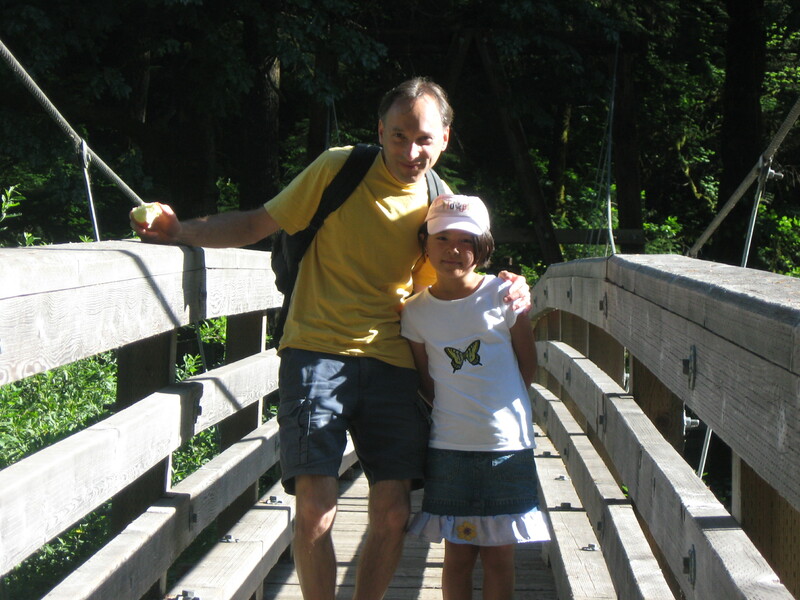 Ken and Anna Bunzel on Eagle Creek Trail, Oregon. Picture taken in July, 2009 by Betta Bunzel. 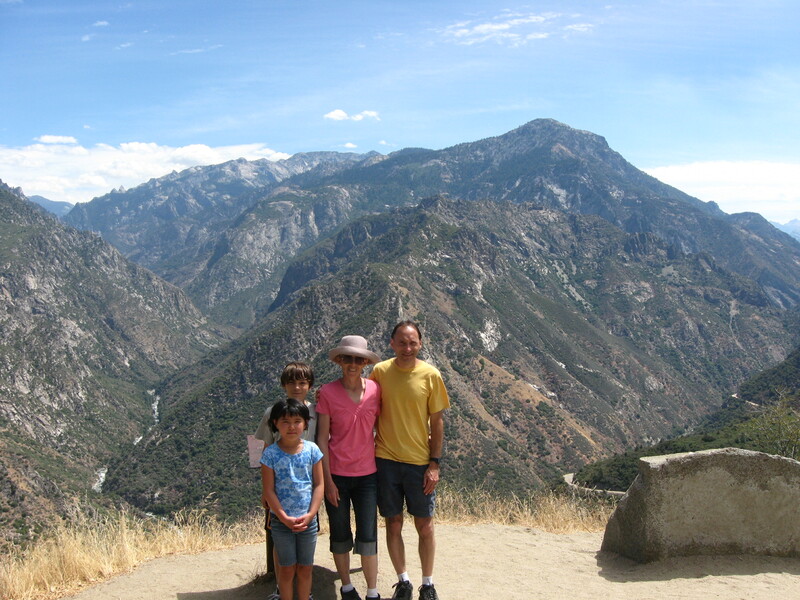 Anna, Owen, Betta, and Ken Bunzel in Kings Canyon National Park, California. Picture taken in July, 2009. Interactive map of the Moscow, Idaho, and Pullman, Washington area using OpenStreetMap.